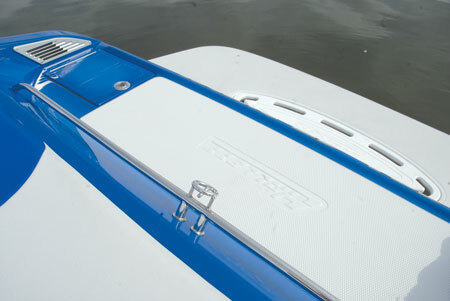 Forget everything you thought you knew about high performance vee-bottom hull technology. Hallett has introduced V2D, a remarkable hull design breakthrough delivering increased operating efficiencies at all speeds and significantly improved handling and stability. Why drive yesterday when tomorrow is already here? It's passenger comfort first and foremost with Hallett. 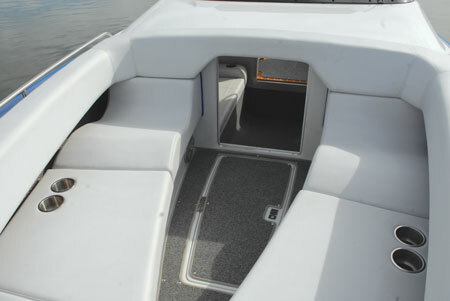 Only top grade marine vinyls are used for seats and sun lounge. And custom colors and graphics are our specialty. Stern boarding doesn’t get much easier than this. 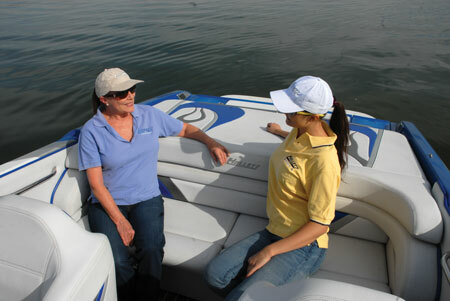 The 290-S has an integrated Euro-style transom plus an optional beam-wide water-level swim platform. 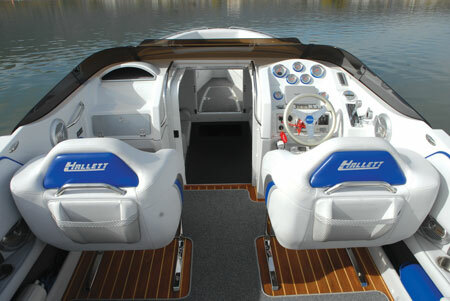 Hallett knows a lot about making the most of its mid-cabin bowrider models. What more could you want from an all-day boat? Spacious main cockpit, roomy bowrider and a comfortable cuddy cabin all rolled into one. Somebody put some engineering thought into this bowrider. Note the ergonomically designed seat cushions, handy in-floor ski locker and convenient beverage holders right where you want them. Too many options to list! Call for more details. Available. Call for current models. Available based on engine selected.